You are currently browsing the category archive for the ‘Holiday Shopping’ category. I am happy to announce that my online store is open! I have a variety of items from several of my series, including this bracelet from Sensory Delights. 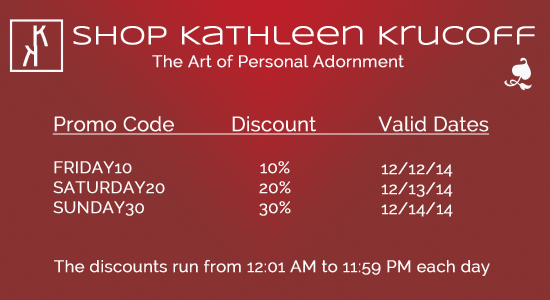 As an added bonus, I am offering a progressive discount starting today, December 12 through Sunday, December 14, 2014. This is my way of celebrating the opening of my web store and thanking you for following my blog. 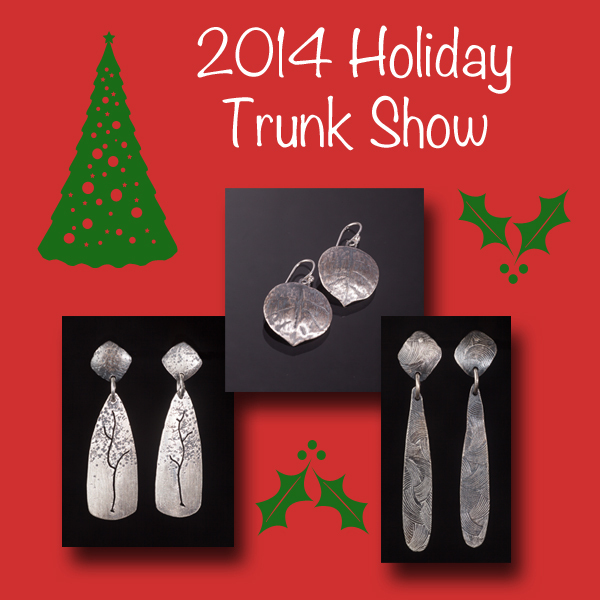 Hopefully you will find something perfect for your last minute Holiday shopping. 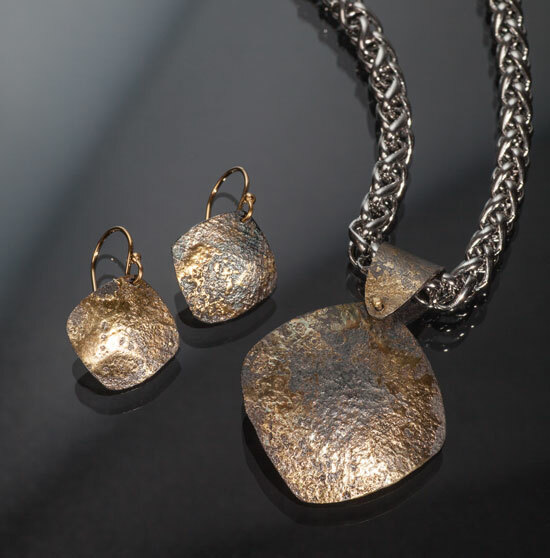 Click this link to my store to view the works available. Please check back from time to time as I will be adding more items. I would like to wish all of you a Very Merry Christmas and a Happy, Healthy & Prosperous 2015! This will be my last show of 2012. 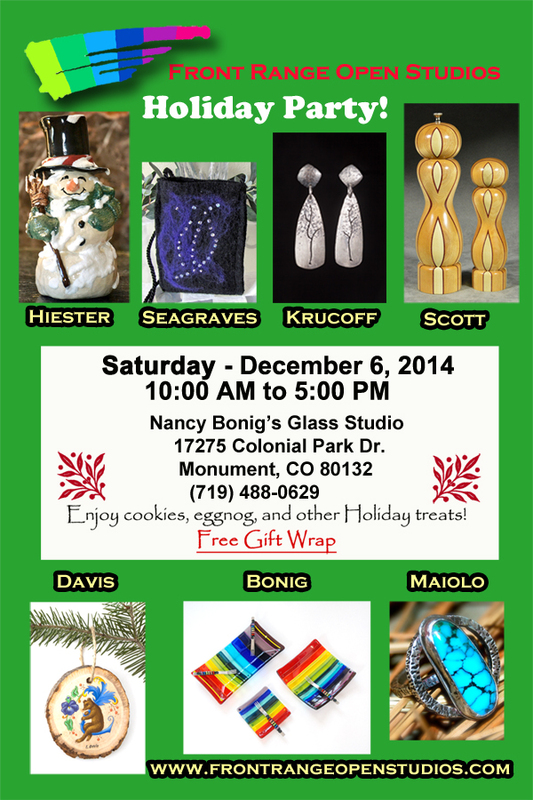 Once again my friend Nancy Bonig is opening her home for a unique holiday shopping experience. 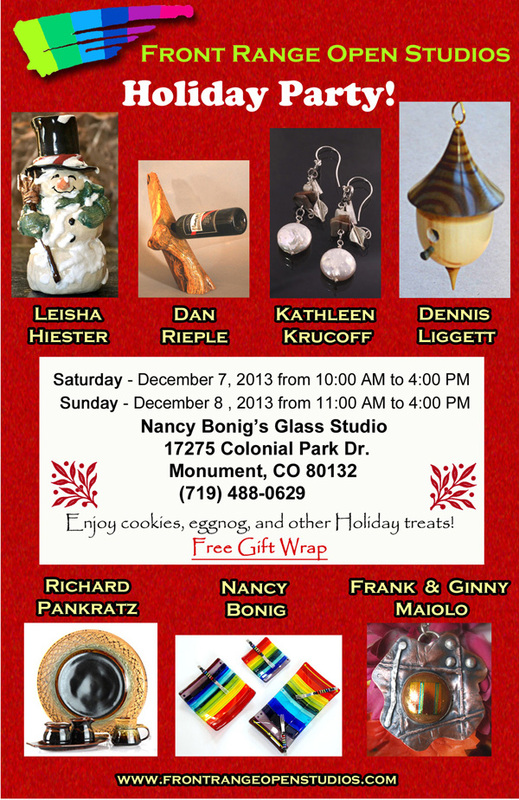 I am grateful to be one of the six Front Range Open Studio Artists participating. This e-Invite has been sent to those who are signed up for our respective newsletters. I thought it would be nice to include all of you who subscribe to my blog posts too. Any of you that may live in Monument CO and/or the surrounding areas are welcome, as this isn’t an event that will be publicized to the general community. 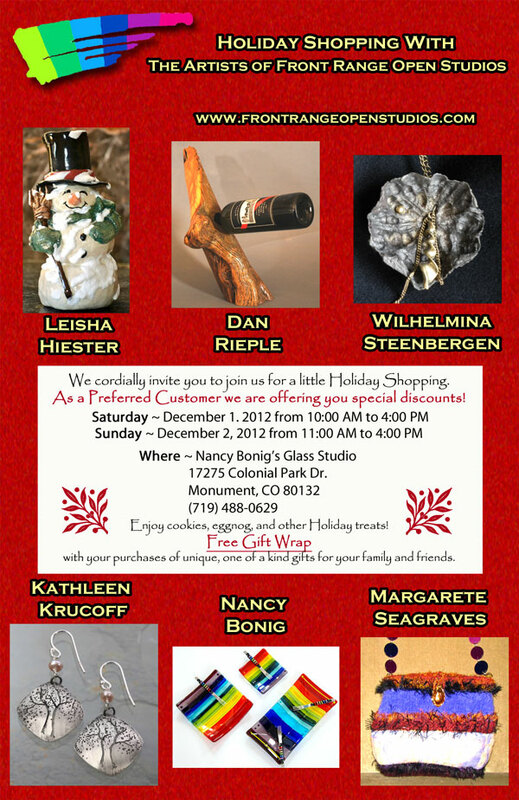 One of the great things about this weekend event is that Nancy has created a very festive and relax atmosphere for people to shop, talk with us and enjoy art. Her home is beautifully decorated for the holidays and filled with lovely yuletide music. We will be providing plenty of munchies, mulled wine, eggnog, cider….well you get the idea….good food and drink! 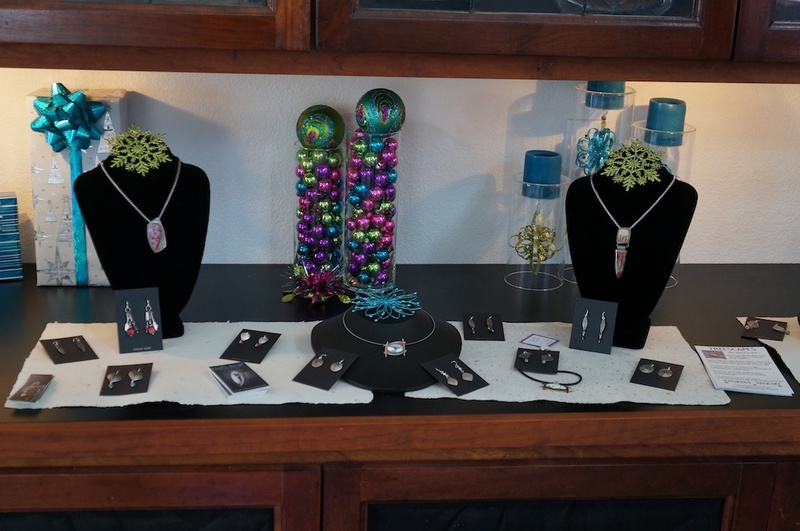 Oh yes, and last but certainly not least, we are offering some of the most unique, one of a kind, handcrafted art works you will ever find for this season’s gift giving. 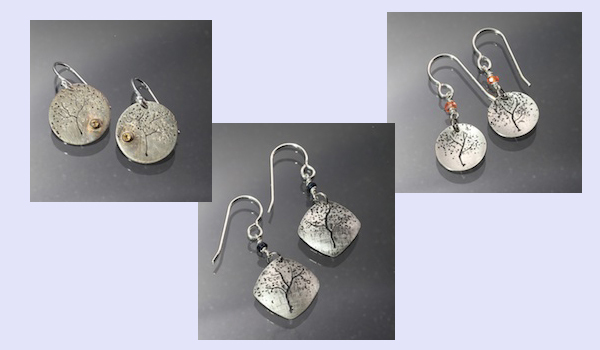 My thanks to everyone who came and purchased Treescape pendants and earrings at my trunk show yesterday at Santa Fe Trail Jewelry. It was so good to see everyone, discuss my process and talk about all the beautiful artwork Marylee has in her shop. I had a wonderful day and you have my gratitude for liking my work enough to give it as gifts this year. 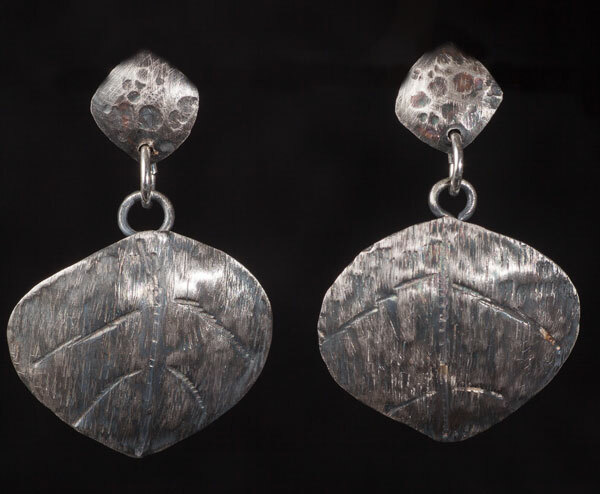 For those who didn’t have a chance to come to the trunk show, next weekend is another opportunity to see if my Treescapes works will find their way into a stocking hung with care or a present under the tree! 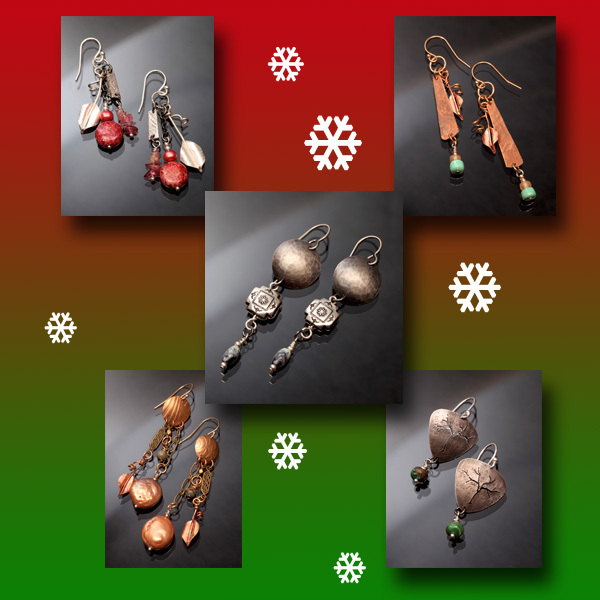 The earrings shown above are just a few hot off my bench. I’ve been adding rough cut sapphires and more facetted stones. The pair at the top left of this photo collage has 2mm facetted citrine tube sets; I wear the best magnifiers I have so I can see what I’m doing….those stones may be small, but they add that sparkle that flashes in the light when you wear them. 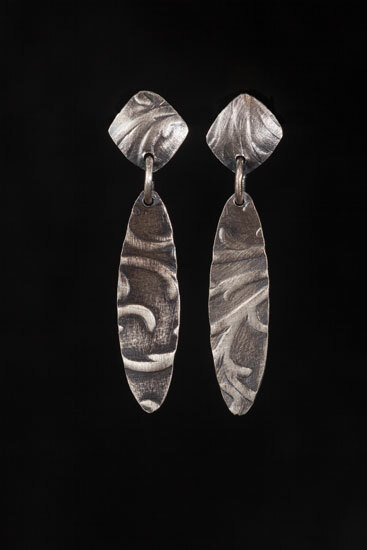 From start to finish, each pair has at least 10 and as many as 15 steps in the process to complete the work. Whether you survived the frenzy of Black Friday and the upcoming Cyber Monday, I can assure you that coming to Nancy’s to shop will be a true slice of heaven. I hope to see you there.